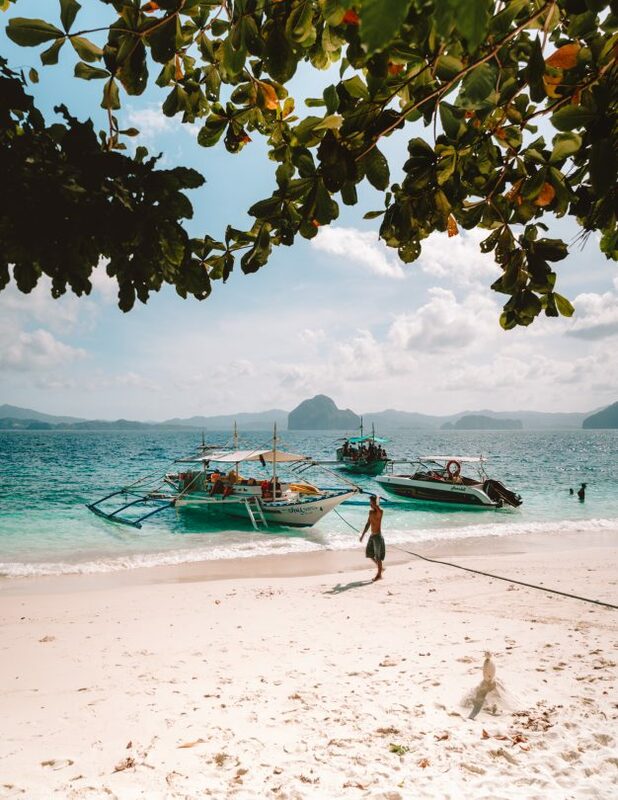 Island Hopping in El Nido is an absolute must-do in the Philippines. Take a boat tour along the stunning lagoons and paradise islands in Bacuit Bay. The protected bay hosts 45 islands that belong to the most beautiful destination in the world. 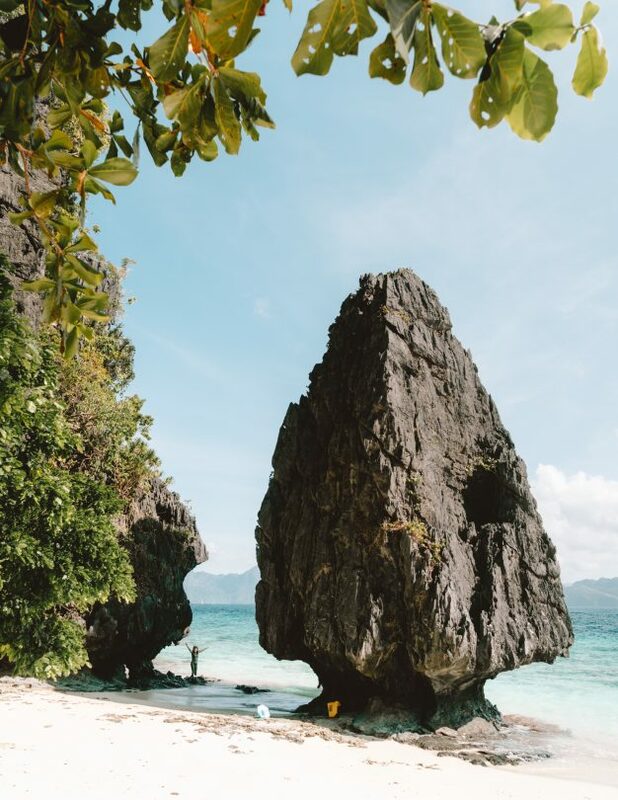 There are four El Nido island hopping tours that all take you along different islands. Read everything you need to know about the tours. 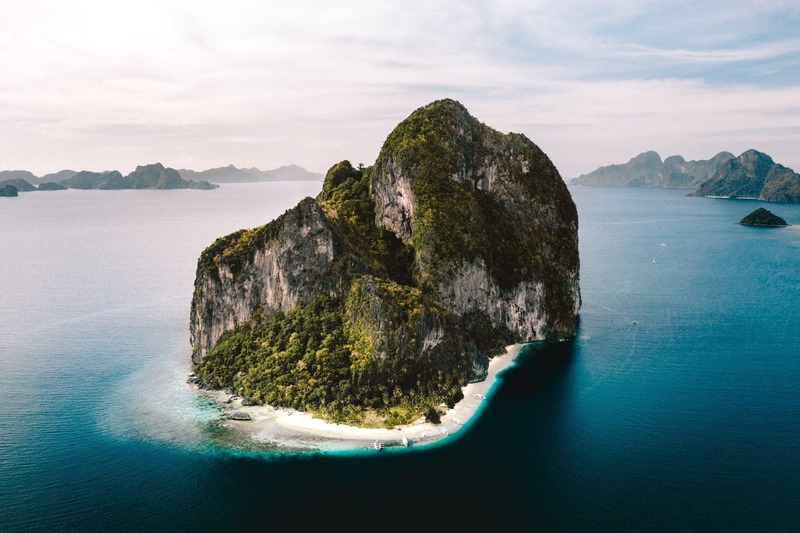 Island hopping tour A takes you around Miniloc island, discover Secret lagoon, let’s you kayak in the stunning and popular Big Lagoon, lunch at Shimizu Island and a final sunset moment at 7-Commando Beach. Please note: Taking plastic bottles on the El Nido island hopping tours is not allowed. 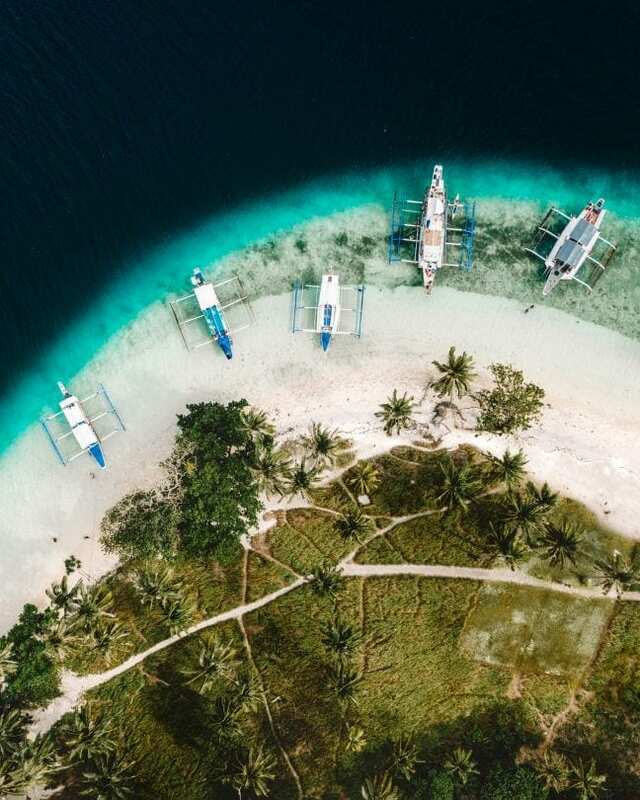 Sail to the white sandbank called Snake Island, Entalula Island, movie-like Pinagbuyutan Island and the Cathedral & Cudugnon Caves. Good to know: Due to a new environmental policy all combination and party boat tours are banned. 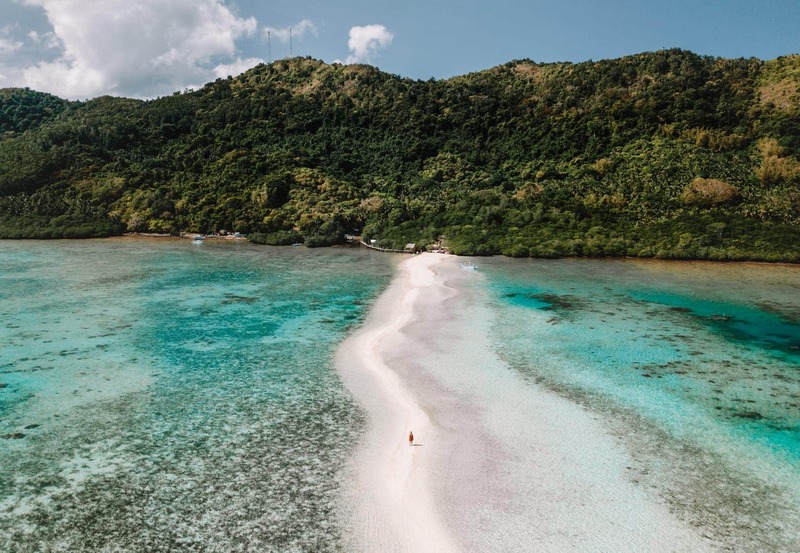 Discover Hidden and Secret Beach, snorkel at Matinloc Shrine, and explore stunning Tapiutan and Helicopter Island. There is a big chance to see turtles on this tour in the Philippines. Please note: Smoking on the El Nido island hopping tours is prohibited. Swim in the popular Small Lagoon, go beach hopping around Cadlao Island (for good snorkeling), and visit Pasandigan Cove, Nat Nat Beach, and Bukal island. 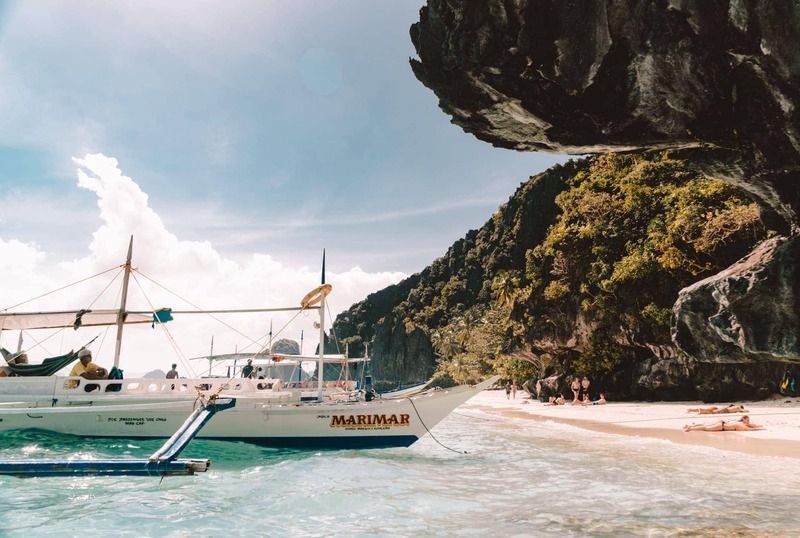 The absolute best way to experience El Nido’s Bacuit Bay is by private boat. You can avoid all tourists, combine the above locations and create your own tour. This has a price tag but will be 100% worth your money. Book a private tour at ArtCafe. 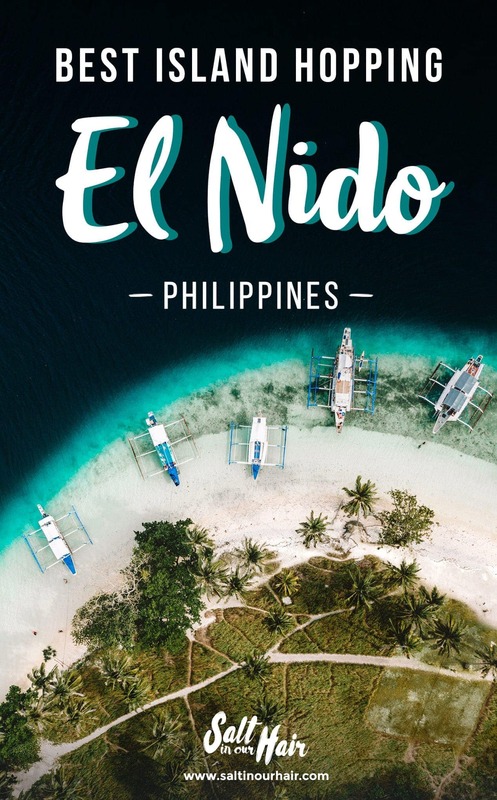 Which of these El Nido tours should you book? A few years ago, tour A & tour C were the most popular. But due to recent changes to put less pressure on the environment all tours are equally very impressive. 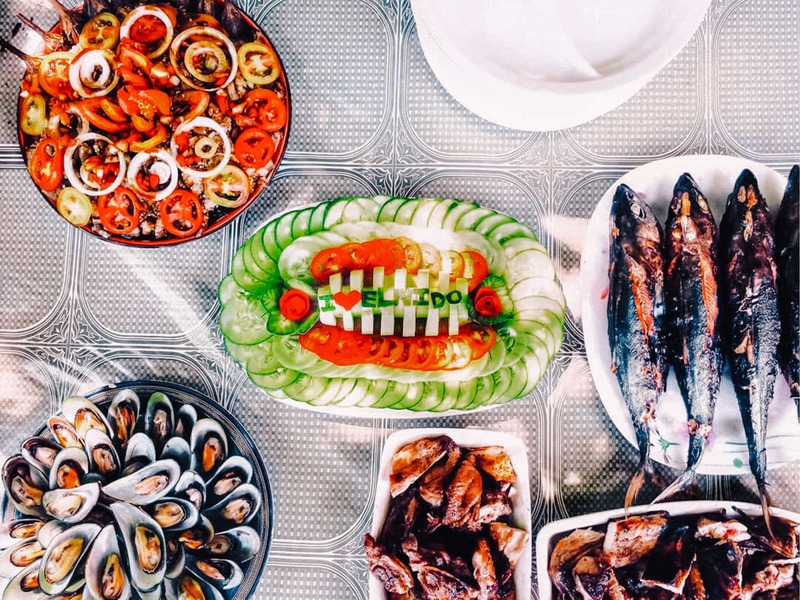 We personally would recommend adding tour A, B or D to your Philippines Travel Guide. 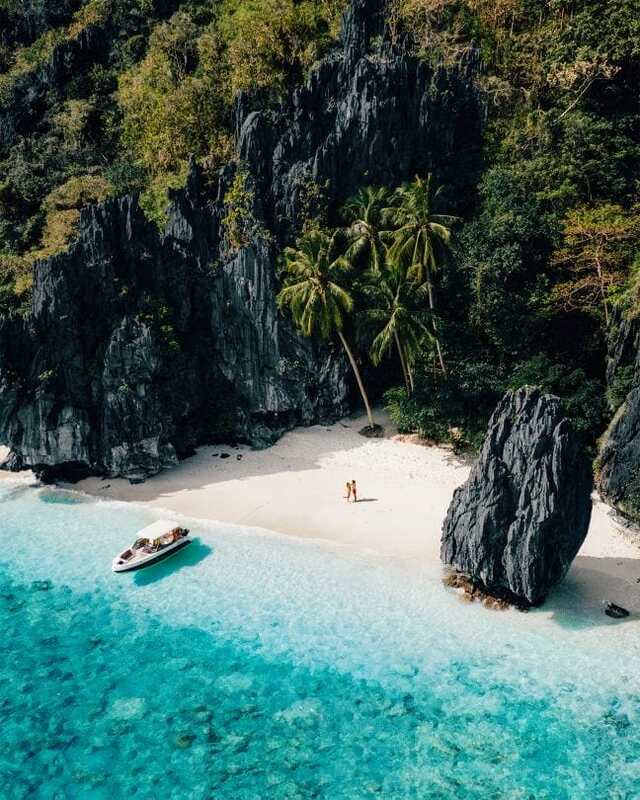 Where to book an El Nido Island Hopping Tour? Since the new regulations in 2019, there is a limited amount of people per day that may enter Bacuit Bay. We recommend you to book at least two days ahead to be sure you have a spot. 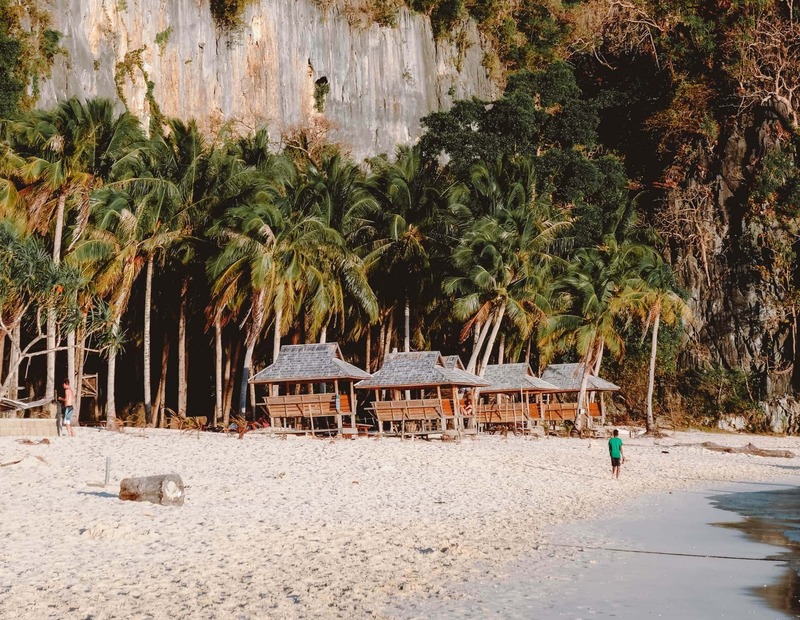 There are a few things to keep an eye on while booking an El Nido boat tour. Don’t go for the lowest price! The lowest priced tours will mix you with another group, so they get a full boat. The quality of these tours can’t be guaranteed. Make sure drinking water is included because you are not allowed to take plastic bottles. Check if snorkeling gear & kayak is included. Try checking the company’s reviews on TripAdvisor. Book a tour online or in town at ArtCafe.